This story illustrates the difference between a painter who paints fences, houses, and the like, and a painter who's an artist. The former may be very skilled, and they should be able to tell the difference between taggers and street artists, but not in this case. 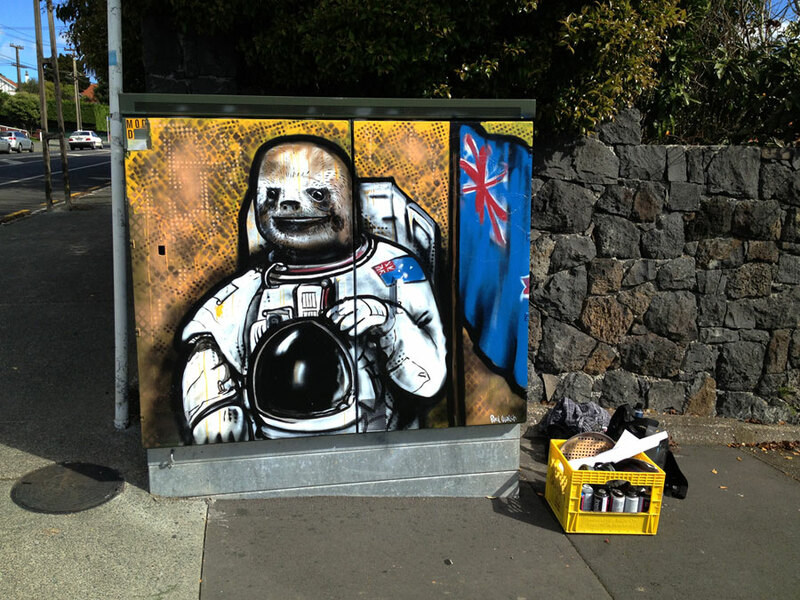 Auckland, New Zealand, street artist Paul Walsh improved the look of quite a few utility boxes with the blessing of the power company. But a contractor who was supposed to repaint one tagged box went overboard and painted over Walsh's street art. On three utility boxes. The company apologized and bought art supplies, and Walsh unveiled his new, improved Astro-Sloth. Even the artist admits that it's an improvement over the original.